Go to Game Show Island if you’re not yet there. Go left, and bounce on the bouncie roof of Robo-Bling Boutique. Once at the roof, you will see a red toolkit. Grab it, and go back down. Go left, and go inside a building titled The Factory. Go up, and find the Crane. Press the little green “Up” button. 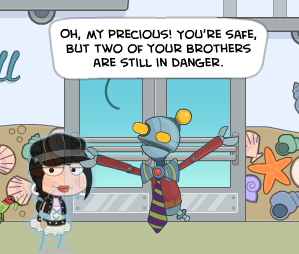 Make it a reasonable height;you’re Poptropican must be able to jump onto it. Keep on making it go up, and alternating sides to make it go up. When you finally get to the top, go left, and click on the computer with the glowing red dot. Haha, my eyes are closed. 😀 Anyway, you’re Poptropican will put in a code onto the computer, and an obstacle blocking a passage will open. Go through it, and use you’re toolkit. With you’re screwdriver, click and hold on each of the screws, and turn left. Then, choose the option that is to the top left. Then, one of the workers will give you an electric fan. Go outside, and all the way to the right. 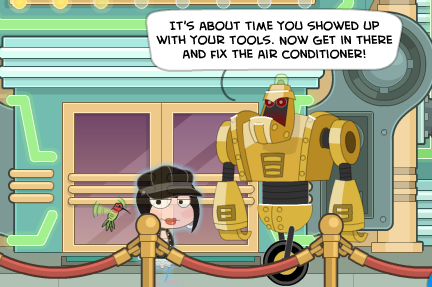 As you try to enter Club Noveau Riche, a giant gold robot will tell you to fix the AC. Go inside, and talk to the owner. He’s a weird disco-looking robot. Once again, eyes closed! Anyway, he’ll tell you to cool him off. So take out your electric fan, and fan him. Then, he’ll give you a quarter that says “In Holmes we trust.” This is because the robots are all following a rogue robot, Holmes. D: With your nickel, exit the club, and go all the way left. You’ll see a homeless Poptropican. Give him the nickel. And in return, he’ll give you some heat vision goggles. Go back to the club, and out on the goggles. You’ll see someone go up a shaft. Follow them by going outside and finding this window. Go inside by using your toolkit. The Inventor will not believe you went in. As he runs away, he will activate a mini obstacle course. Go to the highest floor, and push the record player onto the little elevator thingy. It’ll go down. You go down too, and try going right. The Inventor will drop this ball thingy on you, and you’ll fall. Click on the little pass code thingy, and put on your heat vision goggles. The code is 2014. Go in the door, and then the Inventor will explain to you the truth. Apparently, Holmes’s programming went wrong. And that’s why he wants you to take over the world. You’ll get a helicopter, and time for game shows! Use your Jet Remote Control. Note: These can be done in a different order. But I’m doing it in the order it is in. 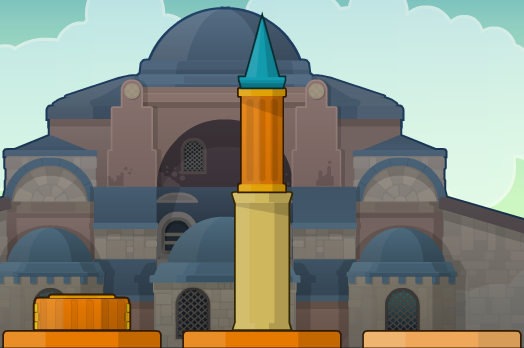 Land in Istanbul, and go right. When you see a sign saying “Site under repair. Do not pass!”, go ahead and pass. Talk to the guy that looks like a construction worker. Now piece 1 on top of piece 2, and piece 3 on piece four. Piece 1 on third base and piece 2 on piece 3. Finally, piece 1 on piece 2. The construction worker will be so pleased that you did it, and he’ll give you a ticket to “Scaredy Pants”. Use it. Time to show those robots you’re awesome! The first challenge, you have to get the glow stick, and get it to its place in time. Beware the evil fishies. They shock you. Anyway, challenge 2 is Creeper Keepers. You need to grab up a creature and put it in its correct bag. After you’re done, challenge 3. You have to manage to stay balanced. Push a little harder when near a fan. Then you’re done! Trouble in Miami! Upon landing, you’ll see two robots arguing. Go talk to the sad looking robot. Great, now you need to catch all of his prizes. Because thou art a good person. The CrazyRoboLady will throw down three prizes, each higher than the rest. 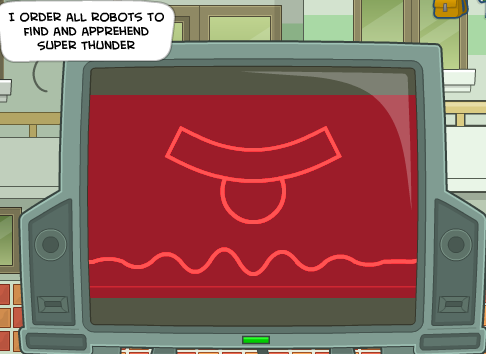 To ensure a safe passage, you need to step on each window thingy, and tilt it, making a path straight to the robot. 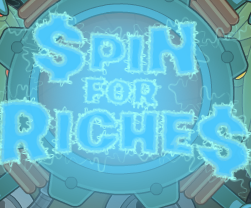 After you successfully save all three prizes, the robot will give you a ticket for “Spin for Riches”. Use it! Spin for Riches, here we come! Spin for Riches is pretty much Wheel of Fortune. There’s a phrase. You get to spin, and guess a letter. It’s pretty easy. If you think you know the phrase, solve it! You can also lose a turn, or get a pre-chosen letter. There are three rounds. When you’re done, call the copter. You land on Buenos Aires, and go left all the way, until you see this big gold robot. Click on the gold rings, under the clock, and turn them. The outer ring will be ring 1. The middle ring will be ring 2. The ring in the middle will be ring 3. First, click the 1. Then the 3. Then the 2. That’s it! You’ll get a ticket for Kerplunk. Kerplunk is pretty much Wipeout. It’s extremely fun to play! Typical Wipeout stuff. 3 awesome filled rounds! Once done, go to Moscow. First row, leave everything blue. The robot will tell you which color is correct. Second, everything yellow. Then purple. Then orange. That way you’ll get all the colors by the fifth go! The copter will land, and go talk to the robot coming out of it. Ticket for Brainiacs! Brainiacs is very easy, if you know much about a certain subject. I, for one, picked the World of Poptropica. I know my villains, my places, my islands. After getting all the answers answered, pick your second best subject. If you find it harder than you thought, pick something else. For the final wager, you need to calculate carefully. Think about the subject, and how much the other robots have. Then, you’re done with that game show! When you land, talk to the BotCop. He’ll tell you to fix the electricity for their precious game show. It’s a Steamworks puzzle. Something done by thinking quick. Then you’ll get into Mr. Yoshi’s Super Terrific Challenge! First challenge: Spell Yoshi. Just find all the letters. Cake. The second, click fast. The third, run around like you’ve been stuck in cupboard for ten years. Then, you’re done! Ah… Time for the battle. Call on your helicopter, and go to Main Street. D:< THEY’RE OUT TO GET YOU! You must not be seen… Go straight right, and drop straight down, before the museum. Go down the hole to meet up with the Inventor. You’ll get a thumb drive to reprogram Holmes. Pretty much, you have to solve the puzzles now. Every time you get closer, Holmes will offer something. When you get to the main Holmes computer, put in the thumb drive, and voila! Done! Thanks for the guide. I needed that! I know I really was stuck so I am so HAPPY seriously! Mine didnt work, wait do you need to win all games??? I won at all the challenges in the game show scaredy pants. Whoo hoo! I have done all of the guides you have set for us. I’ve passed ’em all,t hanks to you. I needed That. P.s.I left my user-name so you could see me on the avatar studio. 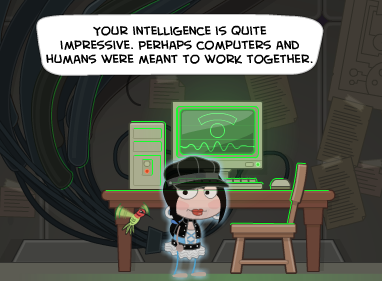 Her guide is also on Poptropica Help Blog. Wow! This is like.. The best guide ever. You’re so specific but you identify things in ways that are understandable, as well! AMAZING! thanks for the last part. i really needed it. Ummm how do you move the things on the computer? About the game thats like Wipeout, I have seen Wipeout in real life! The game is really fun and I keep playing it. So fun. Well the game thats like Wipeout. I really love it! Hey Clean Tornado!!!!! 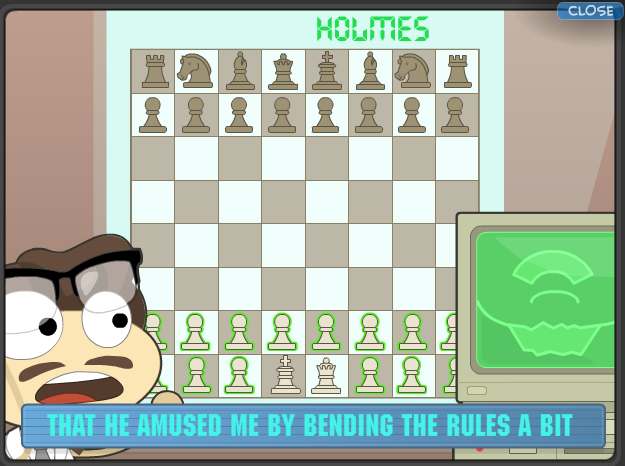 You know Poptropicasecrets.com? Me too!!!!! Have you seen me in the comments?? 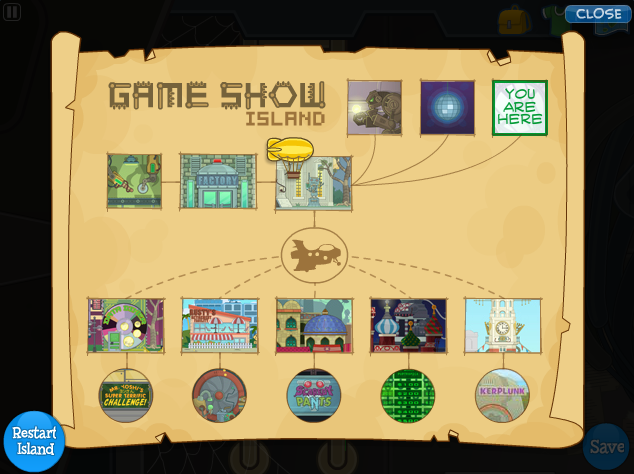 however poptropica secrets only has the video walkthroughs for this island. what would i have done without this walkthrough???? so good!!!! keep at it!!! this is awesome!!! im new here this helps sooo much, thx!!!! oh and hey can anyone visit my room. code is BQV13. everytime u put it , u have to create a new one! hey i need help!i don’t understand how to do the window thing at the noveau club.all i say is “im not going to go in without a good reason!! !”PLEASE NEED HELPP!!!!!!!!!!!!!!!!!!!!!!!!!!!!!!!!!!!!!!!!!!!!!!!!!!!!! !i don’t understand please help!!! what about on Nabooti island? Did you notice that the Inventor and Mr. Mews have the same First Name? Awesome! I really needed this. Thanks! Me too! Keep it up! yes, ive passed it too! I really need someone’s help! I fixed the electric thing but the Mr. Yoshi’s Super Terrific Challenge WON’T come up in my items. Please post if you know how to get the card to come up! how can you jump to that platform? i have the same prob as u do….. what can i do??? i tried many times to jump on the platform but couldn’t – how to???? the windows on Game Show Islan?I can help. spin for riches is an easy game – u just have to find the missing wordz…..
spin and choose a letter and find out urself……..
and im also stuck on the windows of moscow game…..
i am jus confuse about it…. ya then what number do u call on nabooti for police costume! This is my UserName so you guys can see me on avatar studio! super thunder you been a big help but im still confused at moscow windows can you help me? Oh, yes, I understand how it may sound confusing. So the thing is, for the first row, make all the windows one color. The ones that are correct will show up. For the next row, make all the windows a different color. The correct ones will show up. So keep on going with the other two colors, like I said above. The next row with another color, and the next with the leftover color. You should have done four rows by now. See the colors that are correct, and you should do it perfectly by the fifth row! Hey Super Thunder. I did what you did and I found out what the color code is. For the people who need help with the code, the code is Yellow, Orange, Blue, Blue. You can also do what Super Thunder did. Prickly Dolphin, its different for everyone.My code was purple, yellow, yellow, orange. That part was easy,thanks to you. Thanks, it helped me alot. But there’s no Main Street Guide. Did it not have it when you played it? Comical Seal, you need to use the electric fan to blow yourself to the window. Also, I tried the color code Yellow Orange Blue Blue, and it wasn’t correct! am i doing this wrong? Me to. Its wrong. Can someone get it correct. THAT IS NOT THE CODE FOR YOU.IT IS DIFFERENT FOR EVERYONE.MY CODE WAS PURPLE, YELLOW, YELLOW, ORANGE. i was trying really hard to get on to the platform and now u really helped me….. 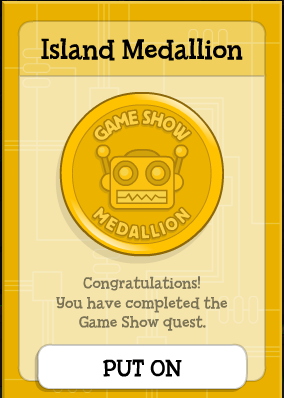 I won all of the game shows on the first try except for Spin for The Riches. It took me so long to beat that one! umm,well the helicopter one didn’t work!! i tried it the code was worng so i am going on youtube now not your blog. i figured the code its orange,purple,blue,blue on the first row of colors!! I loved that island thanks! Super Thunder and Brave Tomato rock! in the first row of windows – choose a color for eg :- yellow. in the third row another one and the remaining color in the 4th row. the green light glows for correct answers. in the 5th row:- click on the colors that glowed green according to their places…..
thnanxxxxxxxx so much for all ur tipz and trickz…. finally i finished the island!!!!! all bcoz of ur help!!!!!! Interesting Walkthrough.. Clearly explained like a Crystal. Voila. 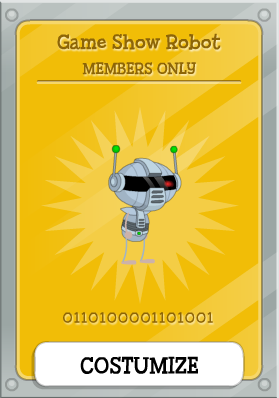 Also if you want to see my avatar on avatar studio its Wittly. Glad I came across this! 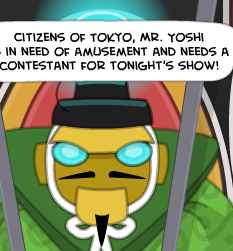 I was at Mr. Yoshi’s Super Terrific Challenge, but I hadn’t played Poptropica in months, so I had no clue where I was! Well I really didn’t need this, but it’s still very good guide! You little liar you did need this! Hey on part one, when you’re trying to get through the door to follow Holmes and you have to get the passcode, and you say the passcode is 2014, but I’m trying to click those numbers and its not working. Any help or tips? This was ultimetly thee best poptropica island i’ve ever plaed! The thing for Moscow didn’t work. You lie! Nice walkthroughs you made. Well written with jokes in it. Even with your walkthrough, i still worked my head thanks! cause he doesn’t want humans to win. How Do I Turn The Handle In Moscow? i also cant change the colours of the windows…. click on the handle to turn it. i finshed spin for the riches and now my jet card is gone! what do i do?!?!??!? Thanks for the guide! I wouldn’t have beaten it without your guide! Ok how the heck do I get up to the window? I can’t figure out. It is really hard, but you have to keep trying, PS-I have a crush on you! Ok but you know I’m a boy, right? I got through. 😉 I just can not beat the games. Soon I am also gonna get Poptropica membership so I can play Wimpy Boardwalk! When I put in the code thing 2014 it doesn’t let me in! Idk what to do! I made a Gravatar, now how do I use it when I comment? I thank you for the help for kerplunk because i kept going like 5:00 because i was being hit a lot! The Tokyo fixup took me 2 days. 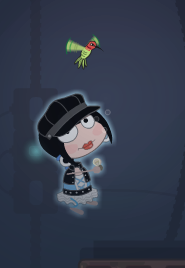 poptropica is awesomer with this website!!! omg i cant get on the ledge help!!! u mean at the club noveau or whatever?u should have a fan from the factory guy!!! hey!! !im ur friend!! !check my name!!!! minus the (!!!) With my username!!! i need help on the window at the club nouvue or whatever!! !neeeed help!!!!!!!!!!!!!! Use the fan, make sure the fan is flat facing down. have you guys seen the commercial for krave cerial!! !i know i spelled cerial wrong it’s the auto correct!!! We have to solve 4 puzzles. to fix up the costume, you’ll be able to seek for ideas from white witch in the Chronicles of Namia or the white witch character in Alice in Wonderland. Guns and bullets will ultimately become obsolete; so be sure to take your best shot and strive for the head. People need the World Wide Web for market, socialization and entertainment. where do all the people go after you finish the island? How do you do the puzzles at the very end? Like,I am SO stuck on spin-for-riches.so I skipped it and went onto Tokyo .great,now I’m stuck on that too! Wait,Super Thunder,for the spin for Riches,is it the same phrase all the time ?And ,Dude!the robot with the hat that says e=m3 is good! Just wondering, do you happen to have the Time Tangled walkthrough? What’s your username? I wanna add you guys. bobojoe47 and also how do u tell the costumier person if your done doing the tower thingy done? tht kind of didnt make sense but im hoping tht it does to u……..